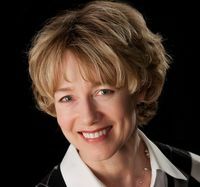 Ann Bares is the founder of Compensation Cafe, and the author of Compensation Force. She is also the Managing Partner of Altura Consulting Group, LLC. She has over 20 years of experience consulting in the areas of compensation and performance management. Ann received her B.A. from The College of St. Catherine and her M.B.A. from the J.L. Kellogg School of Management at Northwestern University. You can reach Ann via email at abares@alturaconsultinggroup.com or follow her on Twitter here. A variety of work experiences across a lot of years have helped me prepare for what I am doing now – running an independent compensation consultancy and trying to influence and contribute to my profession through my writing. I spent a number of years in staff compensation roles at a couple of very different organizations (a technology company and a financial services firm) before moving into consulting roles – first with a global firm and then at a regional firm – and then starting my own business. As far as education goes, I decided earlier in my career to pursue an M.B.A. at a top business school over obtaining CCP (certified compensation professional) certification – although I have taken a number of the CCP courses that I felt were most relevant to my responsibilities. Beyond experience and formal education, I am a big reader. Business, non-fiction, fiction. I find lessons for how to do my work (and my life) better in nearly everything I read. Although I pursued a minor concentration in quantitative methods as part of my graduate work, I think I could use a refresher in statistics and data analysis. Any of us in the field of Human Resources who want to remain relevant in the Age of Data must obtain and maintain at least some level of statistical literacy. With that in mind, one of my personal goals for 2014 is to up my stats quotient; I have already identified a couple of great online courses suited to this purpose. One of the reasons that I love compensation work is that doing it well demands both analytical skills and an understanding of (or at least a deep appreciation for) human psychology and behavior. People with spreadsheet and analytical skills alone do not ultimately progress far in the field of rewards; the opportunity to do strategic and meaningful work comes from learning to connect compensation practices with human behavior at the individual, team and organization-wide levels. That’s where the fun happens! Lou notes that every job has mix of each work type, with one or two dominant. I think that, like most consultants, my role demands that I play thinker, builder and improver roles. The exact mix will vary for different client circumstances and engagements. In some situations, we are starting from the ground up, trying to create, design and implement a new reward strategy to support a new business strategy and direction. That requires a lot of thinking and building. In other circumstances, I may be working with a client to take a deep look at an existing program in order to understand whether and how it could and should be improved – requiring that I put on an improver hat to help determine where there are opportunities to make the program stronger and position it to deliver better results. When I worked for bigger consulting firms, I typically managed a project team and had staff to help with the production work. In my current role, like many small business owners, I often have to step in and be a producer in addition to a thinker/builder/improver. It keeps life interesting! My client engagements often involve bringing in and managing other people – either directly or indirectly. These individuals may be support players, handling research and analytical work, or they may be partners who bring in a complementary background or set of skills necessary to the project. For most organizations, employee compensation is one of the biggest costs of doing business. At a macro level, doing my job well means that the employer I am serving is spending that money well, in a purposeful and nondiscriminatory manner, in accordance with their stated values and priorities, driving the right behaviors and results, and sending the right messages about what is and isn’t important. Pay problems can make for a very toxic work environment. They create trust issues, reinforce negative and potentially harmful behaviors, undermine an otherwise positive culture, and make it impossible to recruit and keep good talent. In my experience, pay touches everyone and nearly everything in an organization. Although I have been tempted to wear a flak vest to some employee meetings, where long-unresolved pay issues have created a lot of hostility and resentment, for the most part my job is very safe. While you do need to get your basic math and analytics ticket punched to get into the field of compensation, doing it successfully is about so much more than just “the numbers.” Being curious and interested in what makes people and organizations tick is key to getting better at what you do in any area of human resources – and compensation is no different. Finally, I’d like to encourage anybody who wants to keep abreast of what’s happening in the field of compensation to visit the Compensation Café, where I write with a cheeky and eclectic group of reward professionals every business day. Stop by with your morning cup of coffee and see what’s brewing! I admire the fact that Ann had her own independent compensation consultancy. If I want to hire someone, I would want them to come with experience. Plus I feel that a compensation consultant is a very important employee and they get to work with people from different organizations. Great article!